One of the famous Hollywood actors, Kevin Costner is an exceptional actor, director, as well as an accomplished producer who has tasted fame and all it has to offer in the film industry. Two-times Academy Award winner, Kevin recently made headlines after he starred in the series "Yellowstone" that drew nearly 5 million viewers in Live+3. Since then, people utterly indulged themselves to know more about Kevin Costner married relationship. On deck, we’ll be exploring Kevin Costner’s married life, including his wives he married and his kids. 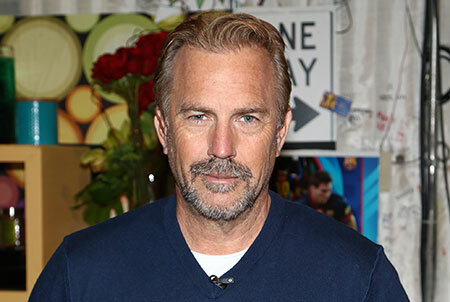 American Actor Kevin Costner Married Relationship: Who Is His Wife? The Yellowstone's star Kevin Costner is a married man for 15 years now. But it was Kevin’s second marriage with a famous model Christine Baumgartner who walked down the aisle in September 2004. Baumgartner is a model an handbag designer. Kevin and Christine dated one another for as long as four years before they decided to commence their conjugal life. The couple first crossed paths 10 years earlier they exchanged numbers. Most of you may not know but the pair actually dated for two years and broke up briefly in 2002. "She said, ‘I’m going to wait for you, but not long. When you come to your senses, come back to me'." As everyone expected, the couple reconciled back and engaged in 2003. And now, the pair has everything on the perfect pace as they barely let any bitterness enter their life. Costner, in fact, has a simple trick to make their marriage work and sustain! "Maybe it’s the ability to say you’re sorry. I know that sounds so simple." Well, you people would definitely learn many things through his precious words, won't you? Kevin Costner's wife Christine Baumgartner and kids. Together the pair became proud parents of three children; Grace Costner (2010), Hayes Costner (2009), and Cayden Costner (2007). "My fundamental fear is that my new baby, someone else will raise him, meaning that my life will end prematurely. I won’t get to coach him in what I think it is to be a man. I’d like to be the person that tell him about life." Furthermore, he told Good Housekeeping that he's really close to his daughters, still, he doesn't pick the favorite one from the group. The duo has a strong bond as a husband and wife and there are no things to point at that may hinder their beautiful relationship. Also, there are no extramarital affairs and misunderstanding that in any way can lead to divorce the two. Before his marriage with Christine, he had a son Liam Costner with Bridget Rooney in 1996. Altogether, Kevin has seven children. With all of his children, Kevin relishes a happy and prosperous life in the States. Until the end, we just wish Kevin and Christine a very peaceful and healthy journey! Despite the fact that Kevin's successful career led the best moment of his life, his relationship status didn't go so smooth as he had to split with his first wife due to some personal issues. Kevin Costner with ex-wife Cindy Silva and kids. Yes, the American actor Kevin Costner first walked down the aisle with Cindy Silva in 1975. Down their marital status, the two became the proud parents of three children. Cindy gave birth to Anne Annie Clayton (born April 15, 1984), Joseph Joe Tedrick (born January 31, 1988), and Lily McCall (born August 4, 1986). "She was beautiful, she was sweet, she was smarter than me. She represented everything about women that I like." Rumors about their infidelity swirled in the soon after the pair filmed the Oscar-acclaimed movie Robin Hood: Prince of Thieves in 1990. Also, Read: Melrose Place Star Brooke Langton Is Happily Married To Carl Hagmier Since 2005. Currently No News of Divorce. She Previously Dated American Actor George Clooney. Their relationship turned sour after sixteen years of married relationship. Sadly, the two broke up in 1994 citing irreconcilable differences. The divorce statement said that they had 'amicably resolved all issues regarding our children and financial affairs and a full marital settlement has been reached'. E! News reported that the divorce was extremely costly for Costner as his ex-wife received around $80 million. Kevin Costner was born on January 18, 1955, in Lynwood, California, United States. Costner is the son of Sharon Rae and William Costner. Kevin attended Mt. Whitney High School but graduated from Villa Park High School in 1973. The 64 years old actor stands with a fair height of 6 ft 1 inch on the ground. As of 2019, Kevin Costner's estimated net worth is $250 million.